A political commentator says Doha and Ankara have sealed their lips in the face of Washington’s move against Muslim Brotherhood and this is noticeable as the two are its main backers. In an interview with irdiplomacy.ir, Jafar Qannadbashi, a Middle East and North Africa analyst, said the US is going to blacklist the Muslim Brotherhood organization as a terrorist group; however, Qatar and Turkey have kept silent towards such an important development. 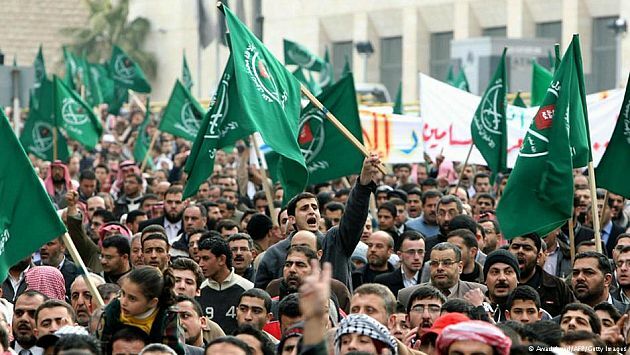 Some sources close to US President Donald Trump recently announced that the country’s national security advisors have drawn up a plan to put Muslim Brotherhood on the US State Department and Treasury’s list of terror groups. Experts say it would be a big mistake to equate Muslim Brotherhood with ISIS and Al-Qaeda as the move would jeopardize Muslim groups in the United States. The decision has its roots in a proposal back in 2015 when some members of the US Congress tabled a motion to label Muslim Brotherhood as a terrorist group and slap restrictions on the organization’s activities in America and other Western countries as well as on the international stage. Such a way of thinking stems from Zionist lobbies and the Al-Saud regime which are concerned over Muslim Brotherhood’s activities in Saudi Arabia and other satellite countries under their control. The Al-Saud dynasty fears the wide range of activities by Muslim Brotherhood might lay the groundwork for anti-monarchy movements in Saudi Arabia. The Al-Saud dynasty fears the wide range of activities by Muslim Brotherhood might lay the groundwork for anti-monarchy movements in Saudi Arabia. Therefore, two lobbies, namely the Zionist lobby as well as the one sponsored by Saudi petro-dollars and encouraged by US senators, set the stage for plotting machinations against Muslim Brotherhood. A conditional plan was approved by Congress in early 2016 under which Muslim Brotherhood would be put on the list of terrorist groups “if it is not proven that it has disavowed its terrorist acts.” The plan had been shelved until Trump came to power. After Trump assumed office, the stage was set for the plan to become operational. It is said the congressional motion should be signed by the president to be implemented. There are two key points in this regard. First, they want to please the Zionist lobby and the lobby sponsored by Saudi petro-dollars. Second, there are objectives that Trump is personally pursuing: Imposing restrictions against Muslims and Muslim immigrants. If, the anti-Brotherhood is given the thumbs-up, the group’s activities will be limited in the US. Moreover, its bank accounts in the US will be blocked, and its activities in American and Western mosques, which are part of its cultural activities, will be stopped. At the same time, we see Turkey and Qatar, as key supporters of Muslim Brotherhood, remaining tight-lipped all along. Of course, all Arab countries have remained silent vis-à-vis Washington’s anti-Brotherhood move. But the silence by the two above-mentioned countries stands out in the whole scenario because they both back Muslim Brotherhood. Qatar, for instance, is frequented by some top Brotherhood officials. Qatar has offered the greatest support to Muslim Brotherhood over the past decade. Also in Turkey, the Justice and Development Party is regarded as an offshoot of the group. That is why the silence by Qatar and Turkey is more noticeable than that of other countries. At this juncture, the two countries seem reluctant to oppose Trump’s anti-Islamic policies. That is due to their submission to the United States. If the plan is signed by the US president, then Turkish and Qatari officials may express their criticism of the move. But we are not expecting serious criticism given Qatar’s inaction vis-à-vis what is being done against Muslim Brotherhood on the one hand, and the alliance between Turkey and the US on the other. Turkey and Qatar currently seem reluctant to oppose Trump’s anti-Islamic policies due to their submission to the United States. Moreover, both Turkey and Qatar are Saudi Arabia’s allies against Syria. Ankara and Doha are backing Takfiri groups in Syria. Riyadh is an opponent of Muslim Brotherhood, too. Furthermore, Turkey and Qatar have compromised with Israel on the issues of Syria and Palestine. So, Ankara and Doha’s silence against Washington’s anti-Brotherhood move amounts to yet another sort of cooperation between Turkey, Qatar and the West. Turkey and Qatar have, on numerous occasions, aligned themselves with reactionary currents in the region and with the Israeli regime, which could be regarded as another instance of collaboration with anti-Brotherhood entities.